Wilbert Hall died September 19, 2018, in his home in Martinez, California, at the age of 86. Willie, as he was known to everyone, was born October 22, 1931, to Lucretia and Bert Hall, in Mountain Grove, Missouri. The youngest of four children, Willie was very close to his siblings, Melvin, Mabel and Leonard. During World War II the Hall Family moved to Bakersfield, then Martinez, where Willie felt he had found the place that he would make his home. While attending Alhambra High School, Willie met Frances Delevati, the love of his life. Willie played on both the football and baseball teams at AHS and would be a devoted Bulldog fan for the rest of his life. 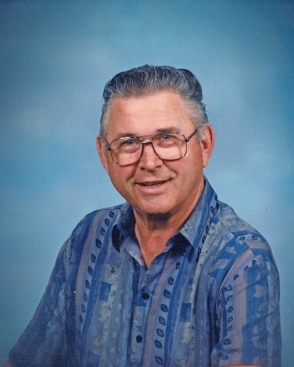 He and Frannie married on August 28, 1954, and, in 1957, welcomed their first child, Linda, and purchased Granshaws Flowers, where Willie had worked as a delivery boy, learning the business from the previous owners. Willie and Frannie ran Granshaws for over 30 years, serving the community they loved so much. In 1961 their second child, John, was born. Willie was active in several service organizations, but the Martinez Lions Club was where he focused most of his energy. Willie is survived by his daughter, Linda Hall-Martin (Chris). He was predeceased by his beloved wife, Frannie, son John, his parents, Lucretia and Bert Hall, brothers Melvin and Leonard, and sister Mable. Memorial services for Willie will be held on October 15, 2018, at 11:00 am, at Connolly and Taylor Mortuary, 4000 Alhambra Avenue, Martinez, CA 94553. In lieu of flowers, donations may be made to: The Martinez Lioness Club, P.O. Box 765, Martinez, CA 94553.